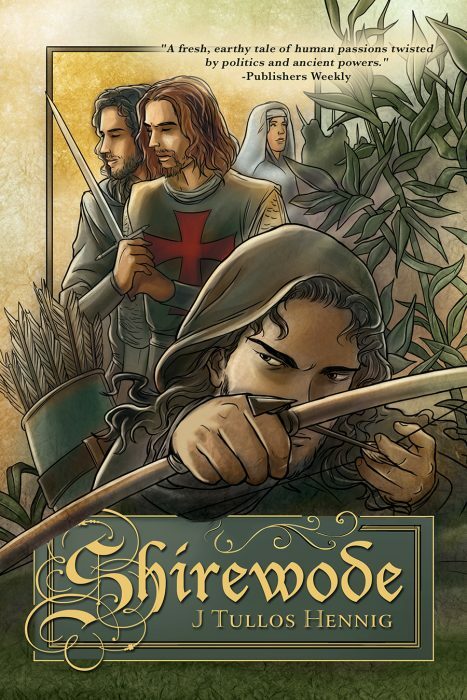 History & legends chronicle Robin Hood & Guy of Gisbourne as the deadliest of enemies. The reality is... complicated. This darkly magical series based on the legends of Robin Hood brings a unique perspective to a rich legacy of myth, magic and ancient ballads. Rob of Loxley and his sister Marion have been raised beneath a solemn duty: to take up their parents' places in the Old Religion as earthly manifestations of the Horned Lord and Lady Huntress. But when Gamelyn Boundys, devout son of a powerful nobleman, is injured in the forest, he, Rob and Marion begin a friendship that challenges duty and ideology. Not only the divide between noble and peasant threatens, but that of Christian and Pagan. Fate would see Gamelyn as Rob's sworn enemy, his rival in a sacrificial battle for the greenwode's Maiden. Home razed by Church edict, loved ones struck down by treachery, Rob of Loxley is left for dead. Taken by an old druid master into the deeps, Rob survives to emerge as driven leader of a tight-knit band of outcasts, claiming the forest as their own and wielding the Horned Lord's vengeance with silent, deadly arrows. Unwilling witness to Loxley's destruction and disowned by his noble family, Gamelyn Boundys takes flight from England. As a sworn knight of the Lionheart's Crusade, Gamelyn has found new identity and purpose--but no absolution. When the two boyhood lovers cross paths, it will be in a brutal, blindfolded game of foxes and hounds, one which pits Templar assassin against Heathen outlaw. And when Rob discovers his sister Marion is still alive, the game turns. History and legend both chronicle Robyn Hood and Guy of Gisbourne as the deadliest of enemies, but the reality is... complicated. Beneath winter's chill is awakening the deepest of magics... and the struggle for a crown. Robyn Hood is the undisputed ruler of the wild, green Wode. Reunited with his sister Marion and his lover Gamelyn in Sherwood Forest, Robyn and his band of outlaws seek to raise the Ceugant—the magical trine of the Old Religion—against the tyranny of Church and Crown. Yet their forest kingdom is roiling with conflict. Marion has been made welcome, but old shackles and new fears hamper her true promise. Gamelyn is torn between oaths of heart and head—and the outlaws never let him forget he was but recently Guy of Gisbourne, defrocked Templar and Robyn's fiercest enemy. When a lone traveller is waylaid on the road, a common occurrence quickly proves uncommon. Knight and Maiden, Archer and Men, all are conscripted to aid a Queen's—and ultimately a King's—ransom. For beneath winter's chill is awakening the deepest of magics, and there are those who seek the power of Robyn Hood and his Shire Wode for their own ends. . . The Summer King has come to the Wode... yet to which oath, head or heart, shall he hold? Uneasy oaths begin a collision course when not only Gamelyn, but Robyn and Marion are summoned to the siege of Nottingham by the Queen. Her promise is that Gamelyn will regain his family’s honour of Tickhill, and the outlaws of the Shire Wode will have a royal pardon. "Hennig’s Wode series continues to reinvent the legend of Robin Hood. . . Thick with conflict and intrigue, this retelling turns a well-known legend into a fresh, earthy tale of human passions twisted by politics and ancient powers." "In a reinventing of the lore, author J Tullos Hennig has taken her passion for history and mythology and created a new fantasy world in the Books of the Wode... retelling the familiar tale of Robin Hood with just enough twists and turns to give the age-old legend a fresh new perspective... 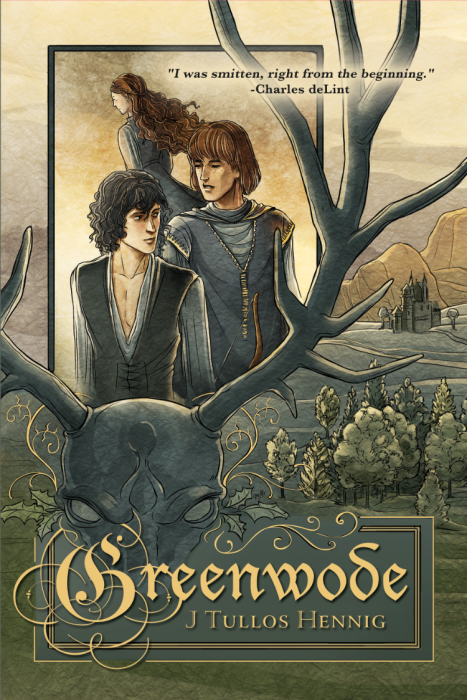 Depending on your stance on folklore, Greenwode, Shirewode, and Winterwode can all fit comfortably under the genre umbrellas of Fantasy, Romance, Historical Fiction, and even Alternate History. Given the author’s innate ability to take classic lore and make it new again through works of fantasy, fans of other genres or literature in general are sure to enjoy these works..."
"The prose is poetic, powerful, insightful. Hennig has a masterful command of weaponry and battle-speak, as well of wode magic." "The angst-filled, but amazing finale of a splendid Robin Hood reboot. . . Possibly Hennig's most important and interesting contribution to the Robin Hood literature is the carefully crafted and beautifully written analysis of the religious context in which this 12th-century story unfolds. Ultimately Rob and Gamelyn's story is one of class and ethnicity and religious belief. For me, the fact that the core story is about two men struggling to love each other was the reason I bothered to buy the book. But the fact that Hennig has taken that core premise and woven a magical literary tapestry around it is what made it worth reading." "Epic is such an overused word, but that’s what this series is. J Tullos Hennig’s storytelling is dense with imagery and lush with the obvious love of the legends around which her artistry pays perfect compliment. . . 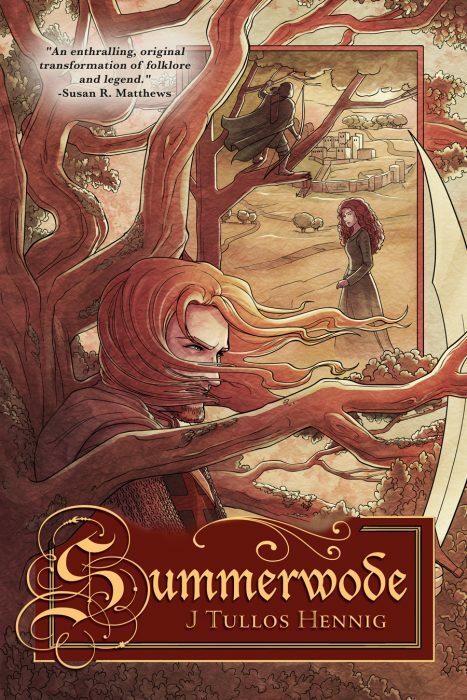 There are some books that become unforgettable, characters who become beloved, books that make a mark and leave an impression behind, and Shirewode is one of those books." 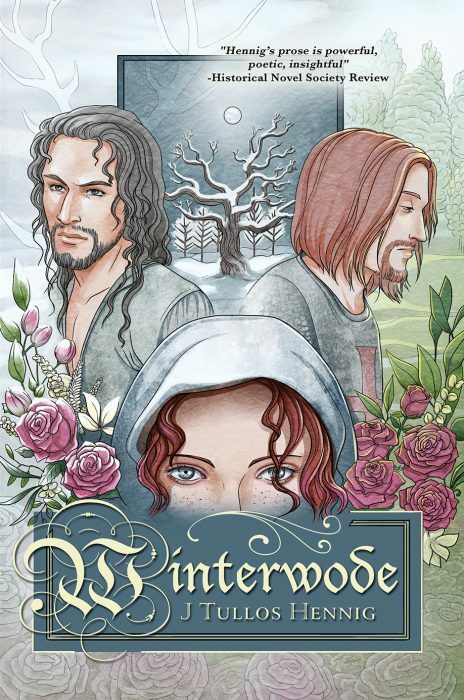 "An intensely emotional, breathtaking version of the Robin Hood legend... beautifully showcases the cultural and religious upheaval between peasant versus nobility, oppressed versus oppressors..."
A gutsy twist on a major classic that works!"